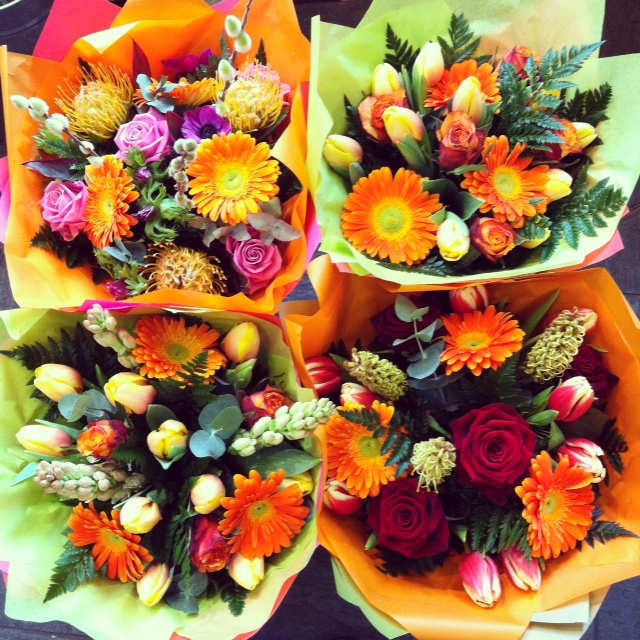 Mothering Sunday – we are open and delivering all week-end! Mothering Sunday is this week-end, on Sunday 6th March and we are open on Saturday 9-5.30 and Sunday 9-1.00pm. Order a gorgeous mixed spring bouquet of tulips, anemones, narcissi, ranunculas and hyacinths or you tell us what you would like in your bespoke bouquet. Delivered bouquets start from £25.o0 plus delivery. We wll also have a selection of planted bulbs and other pretty plants in stock s well as our gorgeous Kew Garden Botanical candles and Guilberts chocolates.